I just got word today that I have a plot in one of the Watertown Community Gardens! I’ve been hoping to join a community garden for years. There’s plenty of room in my yard for bees and flowers and fruit, but not enough flat, sunny space to grow much by way of vegetables. Soon I’ll have room. 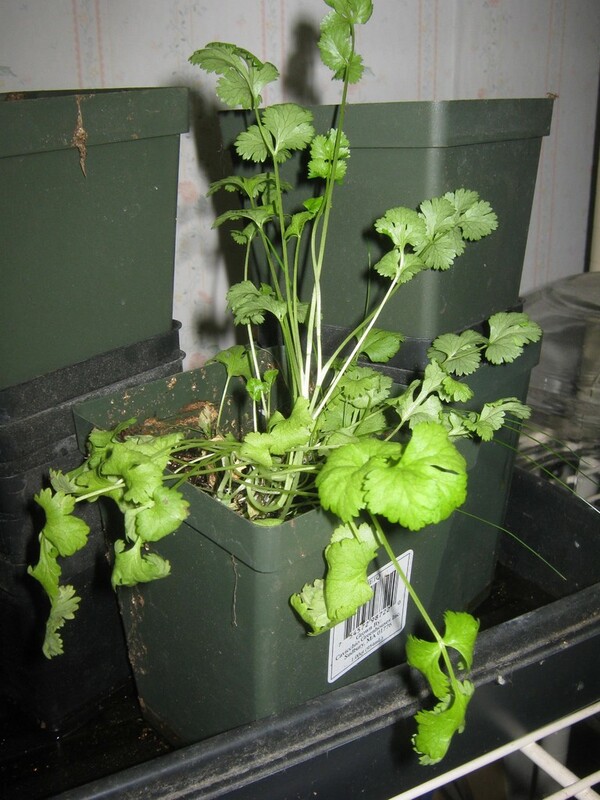 My current garden consists of this sad little pot of cilantro growing indoors. But now I can think about more than one tomato plant. I can grow squash on purpose, and even know what it is. I can plant serious amounts of snow peas, Chinese broccoli and mustard greens, yu choy, bok choy, turnips, collards, rutabagas, green beans, poblano chiles, scallions, leeks, etc. I’ve got all sorts of interesting seeds of edibles that I never quite found the space for: Romanesco broccoli, red amaranth, Brussels sprouts, Belgain endive, and two seed packets with only handwritten Chinese characters to label them. (I think one is daikon and the other is one of the choys.) I can finally find out if any of the seed packets I’ve been hoarding will even sprout. And there’s going to be at least one big sunflower in the middle of it all for the bees. Thanks! I’m really looking forward to the growing season here. There’s even going to be a pollinator corner in the community garden. Congrats on securing the spot. I will make myself available to occasionally relieve you of the overflow that you are bound to have come August or so. Also, I don’t think I ever told you: my wife absolutely loved that dried thyme you gave me. Thanks! Cool! I have lots more thyme, if you want some.